Video: What Will NPR Look Like In Five Years? Jarl Mohn, the new President and CEO of NPR, has held almost every job in broadcast radio. He started out as a 15-year-old disc jockey in Pennsylvania. Later, he worked as a programmer and general manager, and owned a group of radio stations. He eventually ended up in cable television as the general manager of MTV and VH1. More recently, he’s become a venture capitalist, investing in digital and tech startups. Now, at the helm of NPR, he says the business side of the 45-year-old organization needs help. A conversation with Mohn about the future of public radio and his vision for NPR. What can public radio fans expect from NPR in the next half decade? 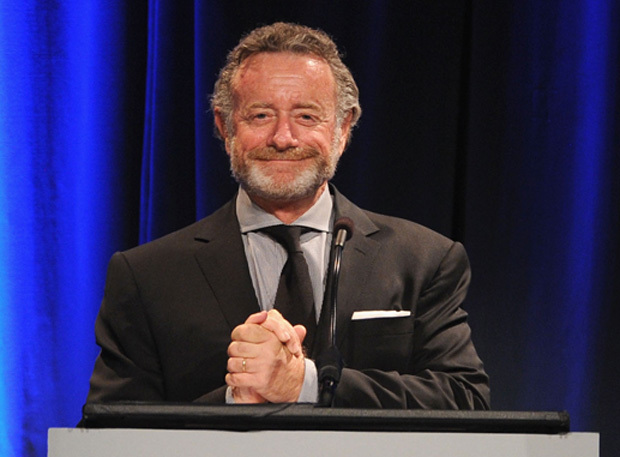 NPR President and CEO Jarl Mohn laid out his vision March 5.